Host the 75210 Banner at Your School or Office? 7 - Eat breakfast every day. 5 - Eat 5 or more servings of fruits and vegetables every day. 2 - Limit screen time (time in front of a computer, television or video games) unrelated to school to 2 hours or less daily. 1 - Get 1 hour or more of moderate to vigorous physical activity every day. 0 - Drink less sugar. Try water and low-fat milk instead of sugar-sweetened drinks. 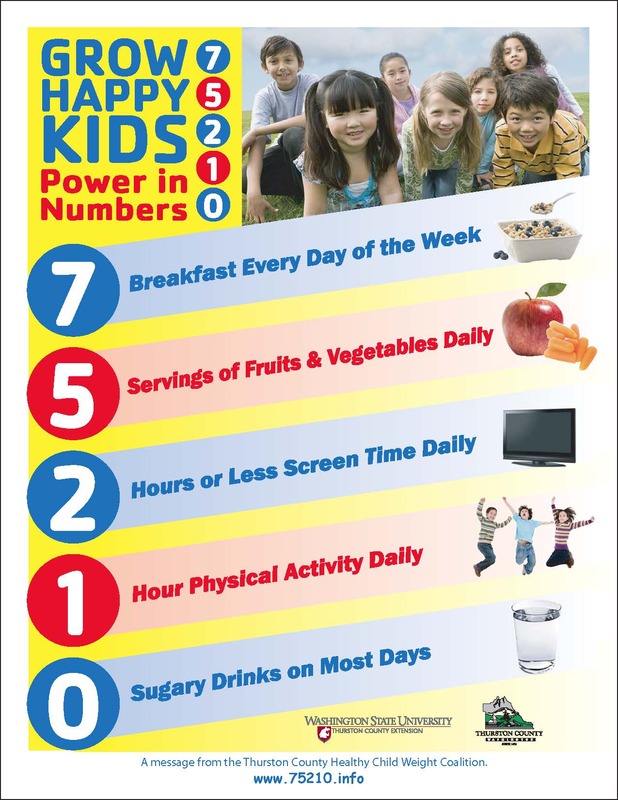 For more information about Thurston County's Healthy Child Weight initiative, visit Healthy Child Weight.